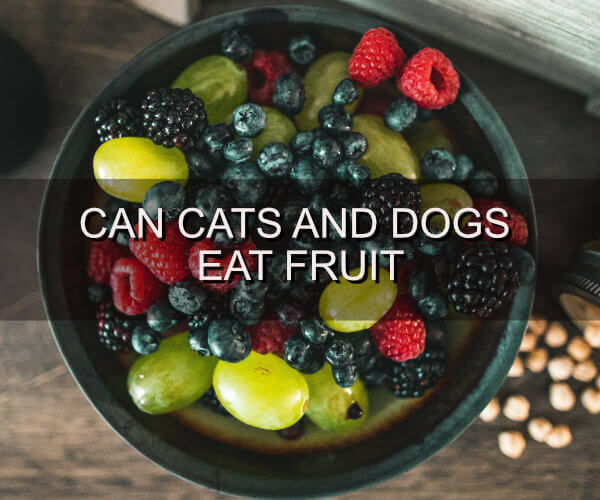 Can Dogs and Cats Eat Fruit? It’s interesting to hear about people’s pets and their unique tastes. One dog who turns up their nose at fruit is followed by three that love kiwi. People post pictures of cats eating bananas, while others can barely get their feline to eat cat food! However, you may wonder if it’s really healthy for dogs and cats to eat a variety of people food. At our Little Rock vet clinic, we get a lot of questions about whether it’s OK for Fido or Fluffy to eat specific things. Of course, it’s best for pets to eat the food they’re intended to eat. Pet food – wet or dry – is specially formulated to meet the nutritional needs of your furry friend. With that said, sometimes pets get people-food treats. How does fruit measure up? A lot of people who visit our Little Rock vet clinic have questions about their dog’s unique tastes. Remember, dogs are carnivores, so they don’t have any biological need to eat fruit. But what about treats? Many fruits are just fine for dogs. Apples, for instance, have good vitamins and fiber that can help your dog. The core and seeds can be dangerous, so be sure to remove them first. Blueberries – can be a good alternative to store-bought treats! As with many types of food, the wrong kinds of fruit can be highly toxic and dangerous for dogs. For instance, under no circumstance should a dog be given grapes or raisins. They are exceptionally toxic, and you’ll end up with an emergency need for a Little Rock vet clinic! The good news is that the bad list is much shorter than the OK list, but making a mistake in this area can be deadly. Be careful, and stick to dog-specific food as much as possible! Now that we’ve talked about dogs, what about their feline counterparts? The fruits that cats can and can’t eat are similar to dogs, but not the same. Unlike dogs, though, cats are less likely to be interested in fruit. They lack the taste receptors for sweetness, which is what makes fruit so appealing to people and dogs. Like dogs, cats do best when eating foods that are formulated specifically for them. If you do give them fruit, make sure it’s cut small so they don’t choke on it. Grapes or Raisins – even more toxic to cats than dogs! It’s unlikely that your cat will beg for fruit, but if they do, this list will help you know what to avoid and what you can safely give them. Even if you take the best of care with your furry family members, they still need to visit a Little Rock vet clinic each year. From making sure they don’t have fleas or parasites to checking ears and noses to updating vaccines, there’s a lot we can do for your pets. Contact us for an appointment today!